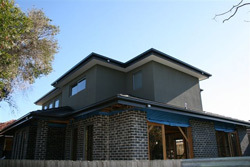 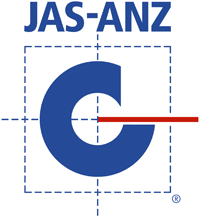 The following is a typical Tecbeam example project – a 2009 house construction in Mordialloc, Victoria. 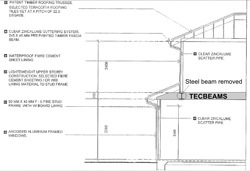 It is a common re-engineered steel substitution job for Tecbeam. 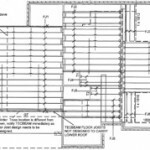 The set back load bearing walls are easily accommodated by Tecbeam joists which can handle point loads anywhere along the span. 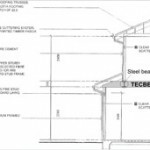 The structural properties of Tecbeam joists were utilised to remove the steel beams and save costs. 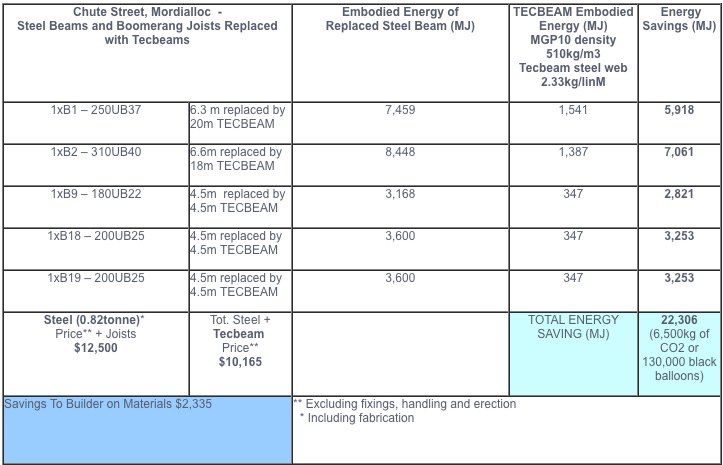 The table (see below) details the steel beams originally designed by the project’s engineer. 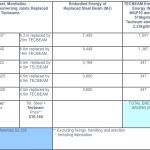 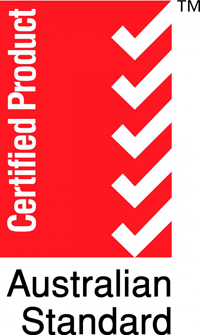 The substitution of Tecbeams are then shown including details of the lengths of members involved and the dollar and energy savings. 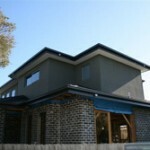 The construction could not have been simpler. 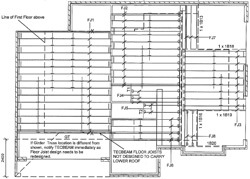 The ceiling was fixed to furring channels connected directly to the Tecbeam purlins.